Institute of Hotel Management- Chennai was established in the year 1963. It is a result of joint collaboration between the Govt. of Tamil Nadu and the Govt. of India. IHM – Chennai is a hotel management school that is known for offering excellent education to those students who want to enter into the field of hospitality administration. 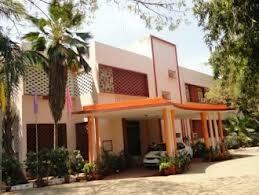 The institute is maintained and regulated by Aaditya Educational Foundation. It is affiliated to National Council for Hotel Management and Catering Technology and Indira Gandhi National Open University, New Delhi. Institute of Hotel Management- Chennai is known for providing in-detail study of hospitality administration to the aspirants. It offers three years full time degree course of B.Sc in hospitality and hotel administration. Every year, the institute accepts 265 students for the course, which involves food productions, beverage services, accommodation operation and many more. IHM – Chennai also offers several diploma programs such as craftsmanship in food production and beverage service, Post Graduate diploma course in dietetics and hospital food services. Admission by Joint Entrance Examination (JEE) followed by online counseling on Merit on All India Level by National Council for Hotel Management & Catering Technology, Noida and IGNOU, New Delhi. Application Form and Brochure for Indian Nationals can be had on release of Notification in Employment News and in leading News papers by National Council for Hotel Management and Catering Technology, Noida during Dec/Jan for the ensuing academic year. IHM – Chennai is located on Tidel Park road in Chennai, Tamil Nadu. It has Wi-Fi enabled campus. The Institute has highly qualified and experienced teachers with reputation in their areas of specialization. It has a big library that has more than 5000 books. The institute also features five fully equipped kitchen / bakery & confectionary department. During Second Year Degree, the students have to undergo Industrial training in various Hotels for six months. Are you Interested in IHM Chennai.